Since he appeared on both the label's first (The Special AKA "Gangsters" b/w The Selecter "The Selecter" in 1979) and last singles (the J.B's Allstars socialist view of/support for teachers and uniformly effective public education, "The Alphabet Army" in 1986), ska drummer, songwriter, and producer extraordinaire John "Prince Rimshot" Bradbury could be considered as the alpha and omega of 2 Tone--and he went on to keep the faith with ska music up to his very end, many decades after 2 Tone had closed up shop. In the late 70s (read about his pre-Specials life in the Guardian's excellent obituary; take note that his mother was fiercely anti-racist and pro-immigrant), Bradbury traveled in the Coventry music circles of both Neol Davies and Jerry Dammers--he was the drummer for Davies' The Transposed Men (which contained another future Selecter, Desmond Brown) and was a housemate of Dammers'. When The Specials' first drummer Silverton Hutchinson quit the band, Dammers (who had some reservations that were overridden by Specials' rhythm guitarist Lynval Golding) recruited Bradbury to The Specials and they soon recorded their first song "Gangsters" with Bradbury behind the kit (along with early versions of "Nite Klub" and "Too Much Too Young" that the band didn't think were in any shape to be released). With their borrowed recording funds exhausted and without a flip side for "Gangsters," Dammers approached friend Neol Davies, who--months earlier--had recorded a demo instrumental track he had written with Bradbury (initially titled "Kingston Affair"), which had been produced by Roger Lomas with Bradbury on drums and Barry Jones on trombone. The track was renamed "The Selecter" (by a then non-existent band called The Selecter) and pressed up as part of the first double A-sided split single from the pre-Chrysalis 2 Tone Records--which ignited the feverish late 70s ska craze in the UK (and forced Davies to quickly assemble his new band). 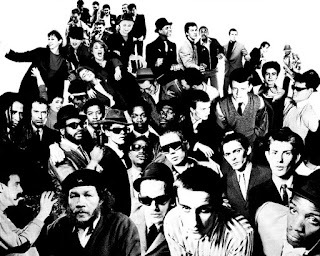 After The Specials disintegrated in 1981, Bradbury followed Dammers into the next iteration of the band--The Special AKA--and co-wrote several songs ("Bright Lights," "Housebound," and "Break Down the Door") on their amazing reggae/no-wave jazz/soul-filled In the Studio LP. During this period, Bradbury also explored his love of Northern Soul (previously revealed via The Specials' cover of "Sock It To 'Em, J.B!" on More Specials, which he produced) by forming his own soul group, J.B's Allstars that signed with RCA Victor and released four singles on that label--the final, fifth one on 2 Tone. As the first (white hot) post-2 Tone UK ska scene (The Trojans, Potato 5, Laurel Aitken, Bad Manners, The Deltones, The Hotknives, The Riffs, The Forest Hillbillies, etc.) emerged in the late 80s, Bradbury was drafted to produce key albums for The Loafers (Contagious) and Maroon Town (High and Dry). In the early 90s, Bradbury was presuaded to assemble an all-star 2 Tone road band after an encounter with Ian Copeland (brother of Stewart of The Police and Miles of IRS Records), owner of Frontier Booking International. 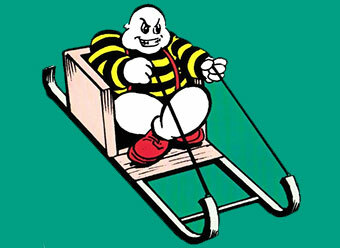 Copeland had told Bradbury how the US ska scene (particularly in Southern California) was on the verge of (finally) breaking big and that a touring 2 Tone act would be very enthusiastically received (much more than any of these bands had experienced during their challenging visits to the USA in the early 80s). The result was The Special Beat (comprised, at various points, of Bradbury, Horace Panter, Lynval Golding, Neville Staple, Ranking Roger, Saxa, The Loafers' Sean Flowerdew, and others), which performed--obviously--Specials and Beat hits and embarked on several massively successful tours of the US (including the groundbreaking 1993 Skavoovee Tour with The Skatalites, The Selecter, and The Toasters) and Japan. 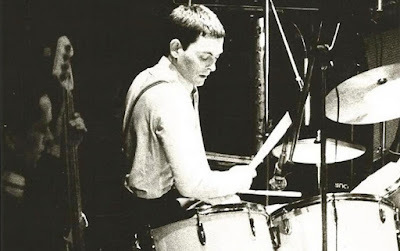 When the Special Beat had run its course, Bradbury drummed for a few years for a version of The Selecter (with Pauline Black, Arthur "Gaps" Hendrickson, and Nick Welsh of Bad Manners and King Hammond fame), as well as Welsh's and Jennie (Belle Stars) Matthais's Big 5. During the late 1990s and much of the 2000s--up until The Specials reformed with all members except Jerry Dammers in 2008 to perform at Bestival (billed as Terry Hall and Friends)--Bradbury worked on computers as an information technology (IT) specialist. The Bestival appearance (and their reception from the fans) convinced all involved to make a go of it again for a series of sold-out 30th anniversary reunion dates in 2009 in the UK, Japan, and Australia. Bradbury eagerly participated in every highly successful Specials reunion tour (that followed in 2011, 2013, and 2015), which brought the band to venues and festivals in the UK, US, Europe, Japan, Mexico, and Chile. At a recent BBC 6 Music songwriter's panel in Birmingham on December 7, 2016, Terry Hall was quoted as stating that The Specials were planning to tour the US and UK in 2016 with new material. 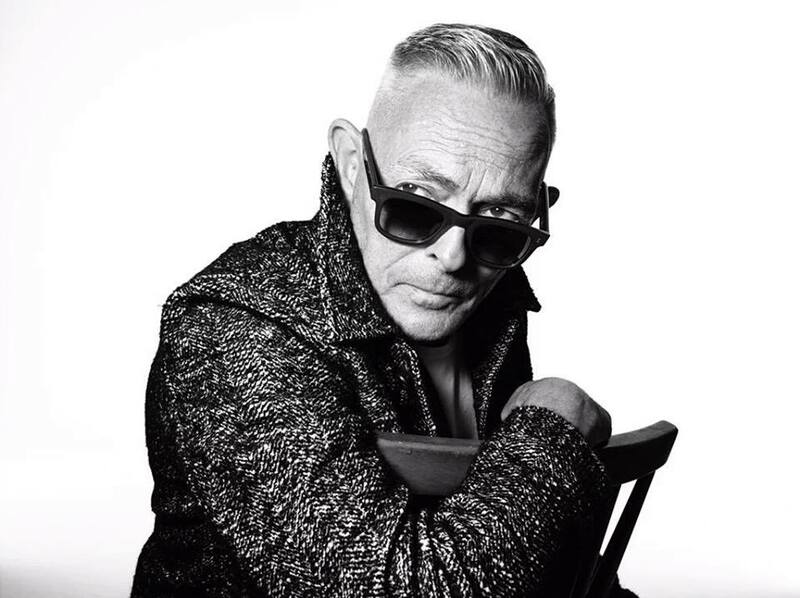 John Bradbury died of undisclosed causes on December 28, 2016. My sincere condolences go out to Bradbury's family, friends, and fans. Absolutely devastating news comes today by way of the BBC, which is reporting that Specials drummer John Bradbury died last night (12/28/15) at age 62. "It is with deepest regret that we have to announce the very sad news that our much loved husband and father John "Brad" Bradbury passed away on Monday the 28th of December. 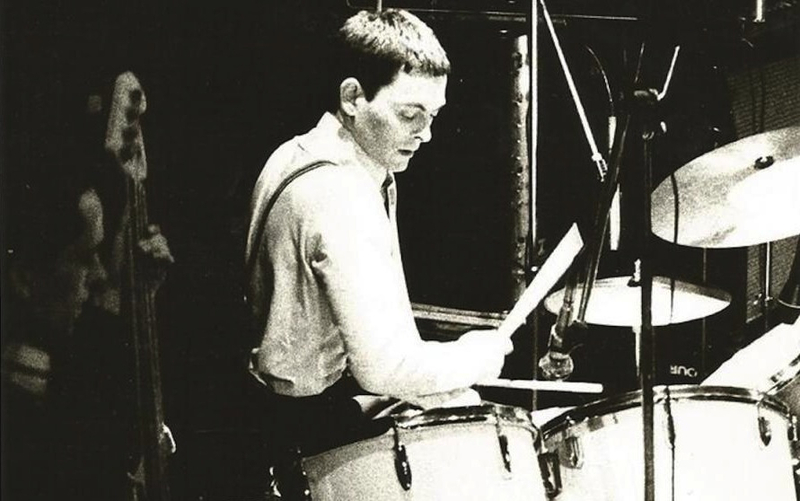 Brad's drumming was the powerhouse behind The Specials and it was seen as a key part to the Two Tone sound. He was much respected in the world of drumming and his style of reggae and ska was seen as genuinely ground breaking when The Specials first hit the charts in 1979. He was an integral part of The Specials reforming in 2008 and toured with them extensively up to the present day. His contribution to the world of music can not be understated and he will much missed by family, friends and fans alike. It is the families sincerest wish that they are allowed the time to remember him privately." Our deepest condolences go out to Bradbury's family, friends, and fans. The Duff Guide to Ska's 2015 Year in Review, Part 2! From the "This Are Two Tone" promotional poster. Adventures in Record Collecting: The Beat's "Psychedelic Rockers"
Richard Balls: "Be Stiff: The Stiff Records Story"
Julien Temple's Madness Film: "The Liberty of Norton Folgate"
The Duff Guide to Ska's 2015 Year In Review, Part 1! 2015 was a challenging year at work and with family matters. Nothing terrible, mind you--I was just very busy, with lots of demands on my time that kept me from writing about so many more ska releases and shows. So, my caveat is that my year-end review is by no means comprehensive. I missed out on a lot of great releases this year, but what I did manage to write about is very much worth your attention. And should you have some money left over from all of the holiday gift-giving or gift cards you received that are burning a hole in your pocket, please consider supporting these bands/releases by purchasing their music! Dubistry: Fuel for the Fire digital album (self-released through Bandcamp) -- Dubistry are one of those terrific, hard-to-pigeonhole bands that are an awesome mash-up of many musical styles--in this case, a sophisticated blend of ska/reggae, jazz, 70s rock and R and B, and more. Early 90s ska fans will take notice that lead singer Dunia Best was in Agent 99 with Agent Jay (as well as an early version of The Slackers) and will want to begin their exploration of Dubistry with one of the more straight-up reggae/dub tracks on the album, the almost apocalyptic, call to rise up and take action of "Tomorrow" ("You have to be fuel for the fire/Before you get burned/Because you never know/Which way the road will turn..."). Then check out the sweet, lovers rock of "Give It To Me One More Time"; a great roots reggae cover of Joni Mitchell's "Blue"; and the wonderful, stripped down (acoustic guitar and percussion), campfire ska of "Roll Away." The more musically omnivorous will love the excellent Steely Dan meets Stevie Wonder-ish earworm that is "Butterfly" and the gorgeously lush and romantic "All Through the Night" (that manages to be a great "Quiet Storm"-like soft-rock/soulful reggae hybrid). Don't miss out on this release--it's so good and essential! Eastern Standard Time: "The Dragon" b/w "Miles and Miles" 7" (self-released) -- Read The Duff Guide to Ska review here. Flying Vipers: The Green Tape cassette (Music A.D.D.) -- Read The Duff Guide to Ska review here. The Frightnrs: "Sharon" b/w "Admiration" 7" (Mad Decent/The Full Hundred) -- Read The Duff Guide to Ska review here. Heavensbee: Soul Mates digital album (Trilby Records) -- Read The Duff Guide to Ska review here. H.R. and The Scotch Bonnets: Quest EP CD (Morphius Records) -- Read The Duff Guide to Ska review here. The Lions: Soul Riot CD/2xLP (Stones Throw) -- This is the one release that I never got around to reviewing this year because I was afraid of not being able to do it justice. I am in awe of this record. Like Fishbone's Truth and Soul or Marvin Gaye's What's Going On, The Lions' absolutely phenomenal Soul Riot is full of songs of defiance, despair, anger, and pure joy (where love and lust are concerned) that reflect the black American experience--as the nation's horrific legacy of slavery continues to play out in so many devastating ways (in particular, see "When It Rains," "At a Loss," and "Going Nowhere"). And like Fishbone's aforementioned marketer-confounding album, Soul Riot incorporates bits of many other musical genres into its heady roots reggae mix, including R and B, funk, De La Soul-like hip hop, and dancehall. With vocal duties shared by Deston Berry, Alex Desert (both of Hepcat), Malik Moore (The Bullets, Ocean 11), Black Shakespeare (cousin of Robbie), and even Angelo Moore of Fishbone (on the awesome "Rhythm Rock") and a band full of LA ska and reggae all-star musicians, the songs of social consciousness and protest have rarely sounded this good and compelling. (Did I mention their deadly cool cover of The Clash's "Magnificent Seven" recorded for the essential The Clash Goes Jamaican comp?) As far as I'm concerned, this is the album of the year. Mento Buru: A Bailar con Mento Buru 7" (Steady Beat Records) -- Read The Duff Guide to Ska review here. The Meow Meows: Friends on Benefits 7" EP (Jump Up Records) -- Read The Duff Guide to Ska review here. The Reggay Lords: Run or Get Down LP (Jump Up Records) -- Read The Duff Guide to Ska review here. 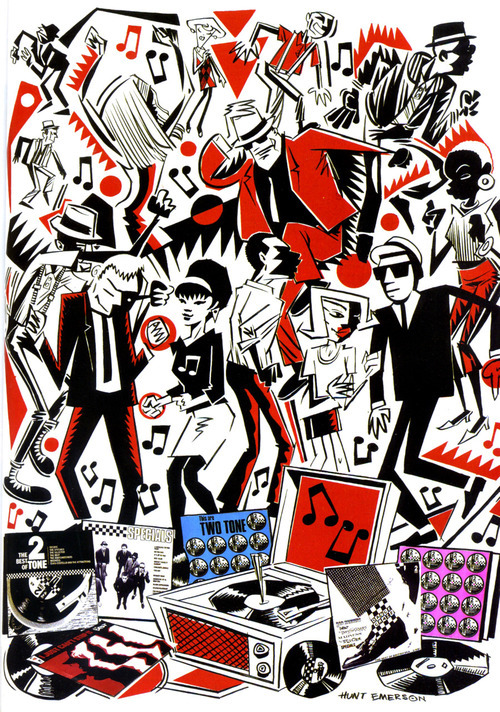 The Selecter: Access All Areas CD/DVD (Edsel) -- Read The Duff Guide to Ska review here. 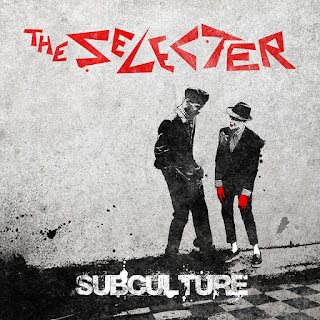 The Selecter: Subculture CD/LP (DMF/Redeye) -- Read The Duff Guide to Ska review here. The Specials: More Specials 2xCD reissue (Chrysalis) -- While I cringe at how many times The Specials' catalogue has been reissued in various packages (why can't Rico's That Man is Forward and Jama Rico receive this kind of attention?! ), I picked up this deluxe version at the recommendation of a friend, who told me that the newly remastered More Specials (so often neglected/maligned in the past) had never sounded so good. One listen to the extraordinary, nuclear dread-filled opening to "Man at C and A"--the only song Jerry Dammers and Terry Hall ever wrote together--or the brightly masked despair of being stuck in a life with no future in Lynval Golding's brilliant "Do Nothing" and you'll be convinced. Tokyo Ska Paradise Orchestra: Ska Me Forever LP/digital (Nacional) -- Read The Duff Guide to Ska review here. 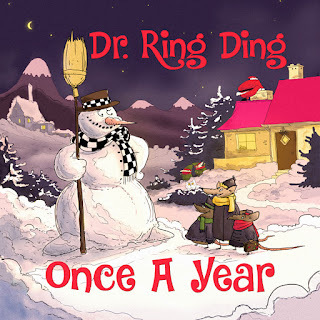 Click here for Part 2 of The Duff Guide to Ska's 2015 Year in Review! King Stitt at the controls. As we're doing our last-minute shopping and present wrapping, we're also putting the finishing touches on our review of the past year in ska music. Rico Rodriguez "Star Wars" b/w "Take Five"! In the years following the release of his mind-blowing and critically acclaimed Man from Wareika (Island Records, 1976), right up to his involvement with The Specials and 2 Tone, Rico Rodriguez released a series of now fairly rare 12" singles (particularly in America) that included covers of John Williams' "Star Wars" theme (which, of course, was all the rage in 1977) and Paul Desmond's jazz classic (via the Dave Brubeck Quartet) "Take Five." 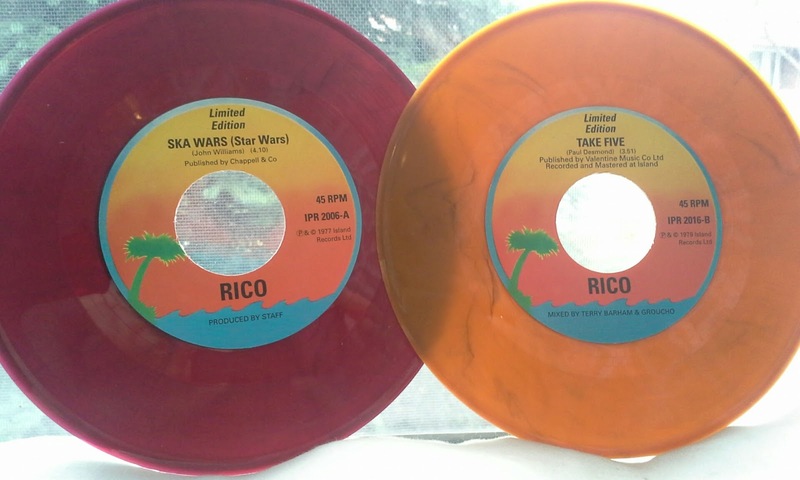 With this in mind, Rico fans--and "Star Wars" obsessives--should take note that Jump Up Records has a very limited number of a new single containing both "Star Wars" and "Take Five" on both red and orange vinyl (my order has already been placed)! Video for "When Your Someday Come" from Chris Murray Combo's New Album "Buckle Up"! The Chris Murray Combo has just released its second album, Buckle Up (Unstrictly Roots)! (Their debut was Why So Rude in 2008.) Chris recently wrote to tell me that, "I love all the albums I've made, but this is the one that I've always wanted to make!" It was produced in his new home studio, without time or budget limitations that might have prevented him from making it all the way he envisioned. We'll have a review of the album once we get our hands on a copy of the CD! 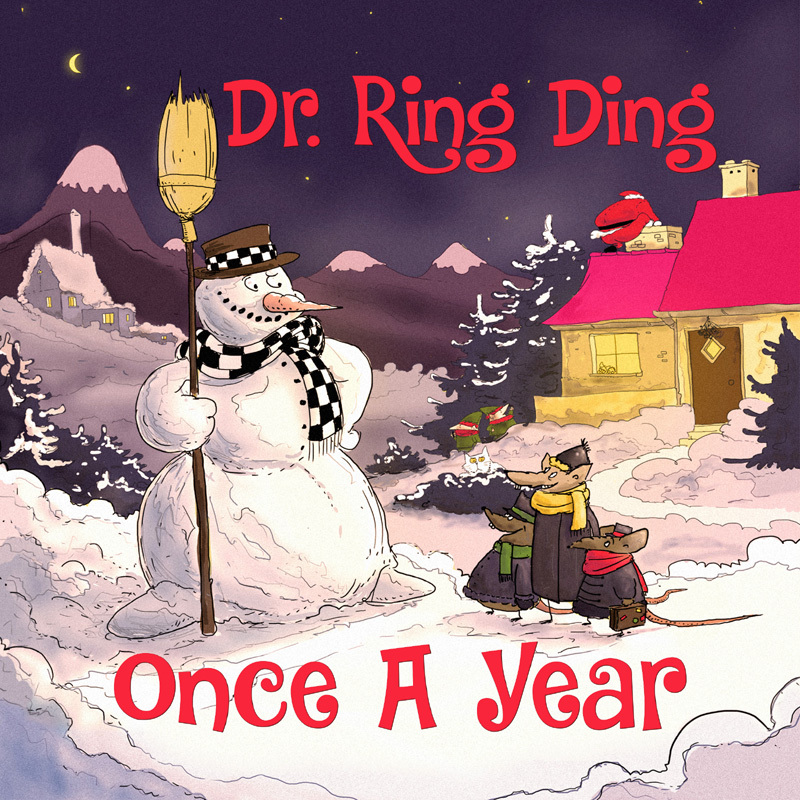 Christmas Ska Releases from The Toasters and Friends, Roger Rivas and the Brothers of Reggae, and Dr. Ring Ding! Cover illustration by Jordan Worley. Judging by the extraordinary number of Christmas-themed recordings floating around out there, it seems like we just can't get enough music celebrating this religious/secular season (for my money, the best pop Xmas recordings are The Pogues' "A Fairytale of New York" and the Vince Guaraldi Trio's A Charlie Brown Christmas, while my all time fave choral holiday music is Benjamin Britten's A Ceremony of Carols; I happen to be on this recording of it back in 1980). 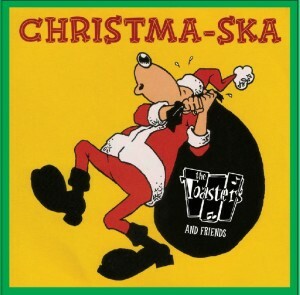 Jump Up Records has just re-issued the rare (at least in any physical format) Toasters and Friends Christma-ska album on limited-edition red or green vinyl. This compilation of holiday tracks was recorded in 1997 for the Moon Ska Tokyo/Tachyon label and released on CD in Japan. (We had about 15 or so copies for sale at the East 10th Street Moon store--but, other than these imports--you really couldn't find this anywhere outside of Japan.) At the time, Tachyon International had licensed a good portion of Moon Ska's catalogue for release on their Moon Ska Tokyo imprint--but they also wanted an exclusive album of tracks to help promote Moon's sister label in Japan. In addition to The Toasters, Buford O'Sullivan Experience, NY Ska Jazz Ensemble cuts listed below, the Japanese Christma-ska version also featured recordings by The Bluebeats, The Allstonians, and Skinnerbox. Three of The Toasters' tracks are original compositions ("Happy Christmas," "Christmas Time Again," and "Rudy Christmas A Jail"). 1) The Toasters: "Happy Christmas"
2) The Toasters: "Sleigh Ride"
3) The Toasters: "Winter Wonderland"
4) The Toasters: "Little Drummer Boy"
5) The Toasters "Rudy Christmas A Jail"
6) The Toasters: "War Is Over"
7) Buford O’Sullivan Experience: "Grandma Got Run Over By A Reindeer"
1) The Toasters: "Blue Christmas"
2) The Toasters: "Feliz Navidad"
3) Buford O’Sullivan Experience: "Did You Buy What I Bought?" 4) The Toasters: "We Three Kings"
5) The Toasters: "Christmas Time Again"
6) The Toasters: "God Rock You Steady Gentlemen"
7) New York Ska Jazz Ensemble: "Joy To The World"
I've played this album at almost every Christmas party/get-together I've had since it's release--and it's always a crowd-pleaser! Roger Rivas and the Brothers of Reggae "Deck the Halls" b/w "Jingle Bells"
Jump Up has also released a fantastic skinhead reggae Christmas single (on red or green vinyl) from Roger Rivas (Aggrolites, The Bullets) and the Brothers of Reggae. "Deck the Halls" and "Jingle Bells" have never sounded so good to these ears. This is Xmas straight out of JA, circa 1969! 2. "Have Yourself A Merry Little Christmas"
8. "All I Wanna Do (On Christmas Day)"
10. "I Saw Mommy Kissing Santa Claus"
11. "Les Anges Dans Nos Campagnes"
In keeping with the holiday spirit of giving to those in need, for every CD sold through Pork Pie, 1 € of it will be donated to a residential group for underprivileged kids in Germany (more info here: www.kinder-jugendhilfe.de). Lonely Atom Records Lauches Indiegogo Campaign for Series of Split Single Releases! To fund this project, the label has been booking mixed-genre concerts to showcase awesome local and independent music on Long Island (roughly one a month), and have plans to expand into NYC in early 2016. Lonely Atom Records, a new artist run/artist motivated record label, has launched an Indiegogo campaign to kick off their inaugural series of 7" records, Radical Chemicals. 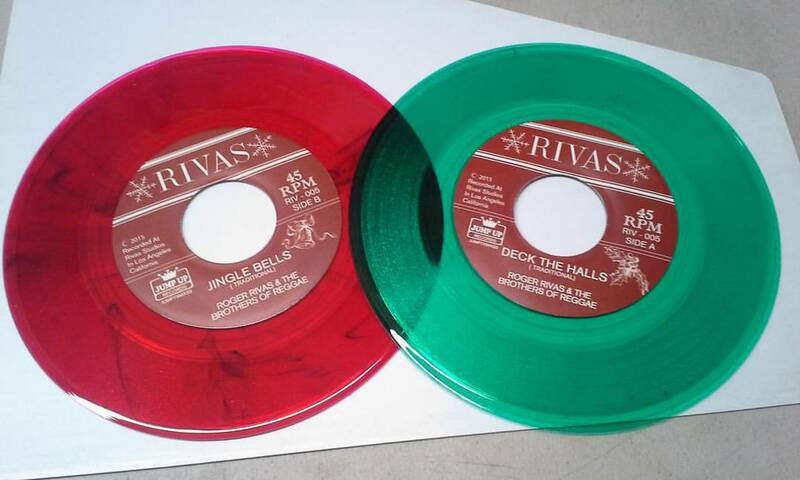 Radical Chemicals is a six (6) 7" split singles record series pressed on colored vinyl featuring some of the best up-and-coming bands from the NYC/tristate area. The label is looking to raise money to cover some of their startup costs to make deposits on materials and pressing the first volume in the series. Having spent over a year researching/prepping their process, the label hopes to keep the costs for listeners low by using a network of DIY visual artists/craftspeople, and upfront costs for bands participating to $0 out of pocket for this project from tracking through pressing (which is the whole point!). More TBA as the project continues. To encourage people to support this endeavor, Lonely Atom Records is offering a wide variety of rewards at different pledge tiers. Tons of stuff ranging from copies of their debut release in the series (a split single between The Pandemics and InCircles) to t-shirts, limited edition picture discs and more. One package even includes admission to every concert the label books between the end of the pledge drive and New Year's Eve, 2020. The label knows that their target of $3,600 won't cover the entire series (projected cost of just the records and packaging are well over $10K), but is only seeking costs to get them started on deposits with visual artists and materials (and the rewards of course!). You can find more info at www.lonelyatomrecords.com. 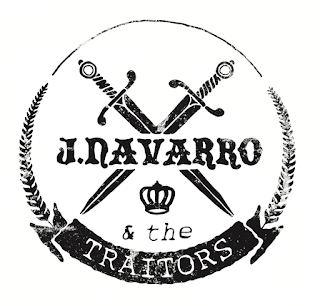 Jay Navarro (of The Suicide Machines) and Eric Abbey (of 1592) have joined musical forces to bring back a sharp 2 Tone/punky-reggae Clash sound they feel is missing from the Detroit scene in the form of J. Navarro and the Traitors. 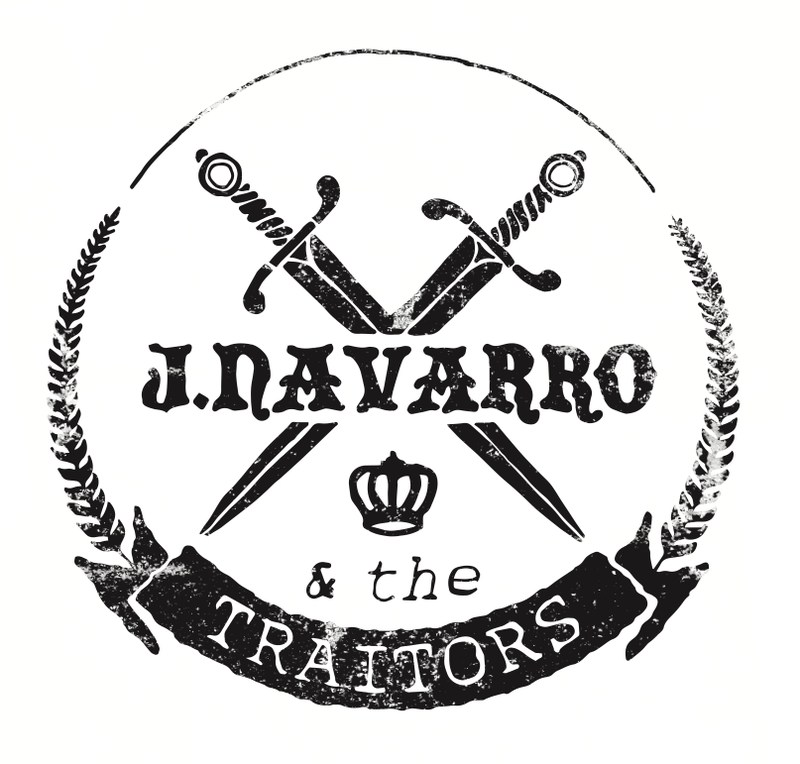 Their debut album Criminals and Lions--mixed by Agent Jay (Slackers/Crazy Baldhead)--will be released on Asbestos Records at some point early in the new year. Know that you were doing wrong! Know that you were doing wrong!" We need more protest songs like this. After hearing these two tracks, I can't wait to hear the rest of the album! The Phoenix City All-stars Tackle Dexy's Midnight Runners! The long-gestating new album from the Phoenix City All-stars is finally seeing the light of day (it was originally scheduled for release last April). For their third album--Searching for the Young Ska Rebels (a nice play on this 1980 debut record)--the Phoenix City All-stars are covering the Stax/Motown-influenced soul music of Dexy's Midnight Runners (Dammers wanted to sign them to 2 Tone back in the day, you know.) You can order the limited-edition LP or CD here. To whet your appetite, take a listen to the Searching for the Young Ska Rebels album sampler video below. The back story on the Phoenix City All-stars is that they're led by Sean Flowerdew (of Pama Int'l and the organizer of the London International Ska Festival) and Lenny Bignell (of The Sidewalk Doctors). The Phoenix City All-stars' two previous albums are stellar Studio One-type approaches to the 2 Tone catalogue (Two Tone Gone Ska) and select Rolling Stones hits (Skatisfaction). Read The Duff Guide to Ska reviews of these albums here and here. "Seven Days Is Too Long"
"I Couldn't Dub It If I Tried"
Free Ska Sampler from Rare Breed Recording Co.! Rare Breed Recording Co., a relatively new ska label co-founded by Vinnie Fiorello from Less Than Jake and Obi Fernandez of Westbound Train, has a little something to stuff your, um, digital stocking with this holiday season. They're offering a free download of their Winter 2015/16 Sampler, which features tracks from both well-known and newer acts, including The Slackers, King Django, Big D and The Kids Table, Obi Fernandez, Brooklyn Attractors, The Far East, The Steady 45's, The Pomps, JukeBox 101 (Jeff Roffredo and Jesse Wagner of The Aggrolites), Anthony Raneri, Beebs and Her Money Makers, Doped Up Dollies, and Ranking Joe with The Pomps. The BBC and other outlets (NME, AV Club, etc.) 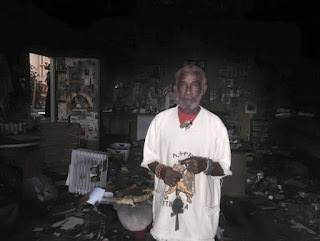 report that Lee "Scratch" Perry accidentally burnt down his home recording studio in Switzerland last week after he left a candle unattended in his "secret lab." (You may recall that Perry his legendary Black Ark studio in Kingston, JA also was destroyed by an intentional or accidental fire in 1979.) Tragically, Perry lost his "life collections" of studio equipment, recordings, books, outfits, and other materials and memorabilia related to his long and incredible career as a performer and producer. CBC Radio has a terrific interview with Mirielle Perry and Lee Perry from a day after the fire that's very much worth reading (from what she says about Perry's behavior with electrical wires and potentially combustable materials, it's surprising that he doesn't start more fires! ), as well as Lee "Scratch" Perry's original Facebook post announcing the destruction of his studio (where he offers to put his fans on the guest list of his shows in exchange for putting together the "magic hats" and "special outfits" that he wears during his performances--all the old ones all went up in flames). It's only available for a limited time (23 more days from today, to be exact), so when you have a moment, listen to Jools Holland's recent tribute to/celebration of Rico Rodriguez on BBC Radio 2. 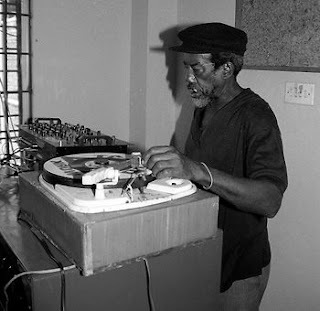 Holland played a fantastic mix of recordings of Rico's own music ("Man From Wareika"), as well his absolutely essential contributions to other musician's songs (Dandy Livingstone's "Rudy, A Message to You," The Specials' "Ghost Town"). 2 Tone's/The Specials'/The Special AKA's Jerry Dammers and reggae saxophonist Michael "Bammie" Rose (who's worked with Rico, Aswad, Dennis Bovell, Lee Perry, and Jools Holland's band) were on hand to share their memories of Rico and their thoughts about his incredible musical career. Duff Review: The Selecter "Subculture"
After hearing how good their String Theory album was from my friend Marc Wasserman (Marco on the Bass blog, Bigger Thomas, Rude Boy George, Heavensbee)--and then catching their fantastic and surprisingly fun show at New York City's Gramercy Theater in September of 2013--I was curious to as to what I would find on Subculture, the third album from Pauline Black's and Arthur "Gaps" Hendrickson's iteration of The Selecter. What finally compelled me to buy the album was randomly coming across Pauline Black's terrific interview with Rachel Martin on NPR in late September, where Black commented that she and Hendrickson are like the Ginger Rogers and Fred Astaire of ska! (It's been a long time since a new ska record has been given a strong promotional push in the US --check out these interviews on Vice's Noisey music blog and Flavorwire, and read a profile of Ms. Black on Vice's women's experiences-focused site, Broadly). I recently brought along the Subculture CD for a long car trip, since I had many uninterrupted hours to listen to--and digest--this album. From the very first play, I was struck by how many strong, catchy, and pointedly political songs there are on Subculture (apart from two covers, all songs are credited to Black, Hendrickson, and Neil Pyzer--who plays sax, guitar, and keys; recorded and produced the album; and is a former member of post-punk band Spear of Destiny; it also should be noted that the great Prince Fatty did a stellar job of mixing everything). While The Selecter with Black and Hendrickson is clearly rooted in the sound, vision, and social consciousness of the original 2 Tone version of the band, their new songs aren't attempting to be a rehash or clever facsimile of the band's classic sound captured on Too Much Pressure (which, apart from several excellent vintage ska covers and two originals by Black, was very much shaped by Neol Davies' stellar songwriting). The better reference point is Celebrate the Bullet, where The Selecter's sound expanded to incorporate more elements of reggae and rock, as well as material from additional songwriters within the group (on Celebrate the Bullet, Davies wrote five of the tracks, Black composed three, Compton Amanor penned two, and Gaps one). As the Banksy-like street art cover suggests, Subculture is about presenting the alternative viewpoint in contrast to whatever is being propagated in the mainstream. On one level, the album acknowledges (and celebrates!) ska music's dogged and less-than-glorious place in the pop culture hierarchy. But it also is very concerned with issues of political, social, and economic injustice. Many of the songs on Subculture are written from the point-of-view of the wronged and oppressed--groups of people whose interests are subordinate to those of the dominant society. In these neighborhoods, cities, and towns, nothing functions as it should, including the law and those who are entrusted to enforce it. So, tell me who is to blame?" After Pauline Black sings, "Some things are so wrong that nothing ever makes it right," Gaps Hendrickson recites a devastatingly long list of black boys, women, and men unjustifiably killed by police in the UK and USA, starting with Stephen Lawrence and ending with Trayvon Martin, Renisha McBride, Michael Brown, and Tamir Rice (though there seems to be an ever-growing number of new names to add to this list...). "Breakdown" is a "Ghost Town" of sorts for the 21st century (it borrows just enough of "Ghost Town's" structure and snippets of its melody and horn lines to reinforce that notion) and like that iconic song, it reflects the great inequity, fractiousness, and despair of our times. It's fitting that the striking "Karma" follows "Breakdown," as they're of a piece. "Karma" zeros in on individual people's bad decisions instead of society's, though the people in the song (a John and a prostitute, a neglected kid and his drug-addicted mother, an abused woman and her abuser, the rich few and host of impoverished people) are stuck inflicting pain and unhappiness on each other (trapped in the neighborhood, town, or city of "Breakdown"), in an unbroken circle of misery (refrain: "And the world spins around/What goes around, round, round/Always comes back one day"). Could it really be that the last ska song to decry the grossly festering Israeli/Palestinian conflict was The Special AKA's "War Crimes" in 1982? With its sly reference to the Biblical tower of Babel myth in Genesis (early in human history, God thought that humanity--which only had one common language--had too much freedom and power, and were full of hubris, so he created and imposed many different languages on human beings, so they couldn't communicate easily with each other) and its cheeky alliterative pun, The Selecter's "Babble On" (...Babylon) expresses great outrage that the situation in Israel still hasn't be resolved after all these decades (two state solution, anyone?) --and that civilians continue to die on both sides: "I don't care what you say/I don't care who you pray to/You're killing innocents/You're killing innocents/Who cares whose god is greater/If there is one creator?" The song also implies that the Israeli/Palestinian conflict serves as proxy war between Christian and Islamic states and interests, which isn't too far off the mark. The amazing, upbeat, should-be-a-single "Hit the Ground Running" offers encouragement to someone trying to earn a living on UK's "zero-hour contracts" (employees enter an insane agreement where they are essentially on-call all the time for their employer, who can give them anywhere between zero and 40 hours a week of work--talk about rigging the system to one's complete advantage! ), while enduring the needlessly punitive bedroom tax (people receiving housing benefits in public housing can see their rent support reduced if it is determined they have "spare bedrooms"). Things I don't do now"
"Box Fresh" recognizes the enduring friendship and musical partnership between Black and Hendrickson, while "Open Goal" is about a couple whose relationship has devolved to the point where the man takes the woman completely for granted. 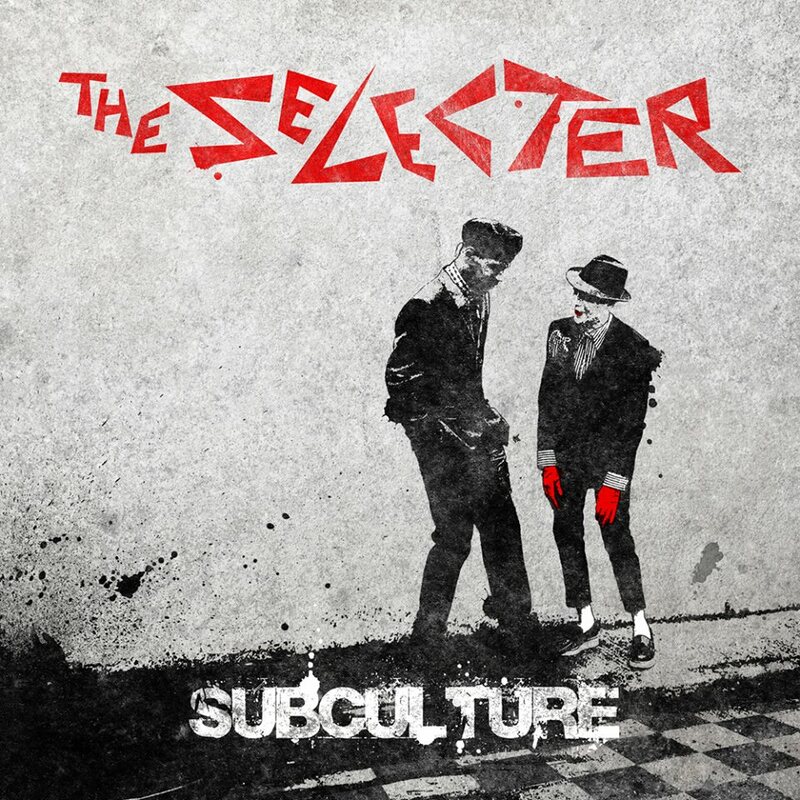 The Selecter's cover of Patti Smith's and Bruce Springsteen's defiant classic rock love song "Because the Night" is given a brisk and pretty successful ska revamp here. And there are other songs of hope, joy, and resilience, like "Walk the Walk" (whose horn line briefly quotes Dandy Livingston's "A Message to You, Rudy"), "Still I Rise" (written in tribute to Maya Angelou and her poem of the same name about being unbreakable in the face of all manner of oppression), Gap's "Stone Cold Sober" (presumably about successfully taking it one day at a time) and his extraordinary cover of Mr. Foundation's rude boy anthem "See Them A Come" ("Wicked dem come/But we nah run/We have no gun/So we nah run/Look how you get up every day/Saying prayers to the devil, I say/Should be like Cassius Clay/Steadfast strong and never run away/Through the hustlings and jugglings/You have to make a stance"). All in all, The Selecter's Subculture is an excellent and thoroughly enjoyable record that should please both graying 2 Tone fans and fresh, new, soon-to-be devotees. Like Madness (who themselves keep releasing brilliant new albums every few years! ), they deserve extra points for resisting the lure of relying on nostalgia and doing the hard work of making something great and new.